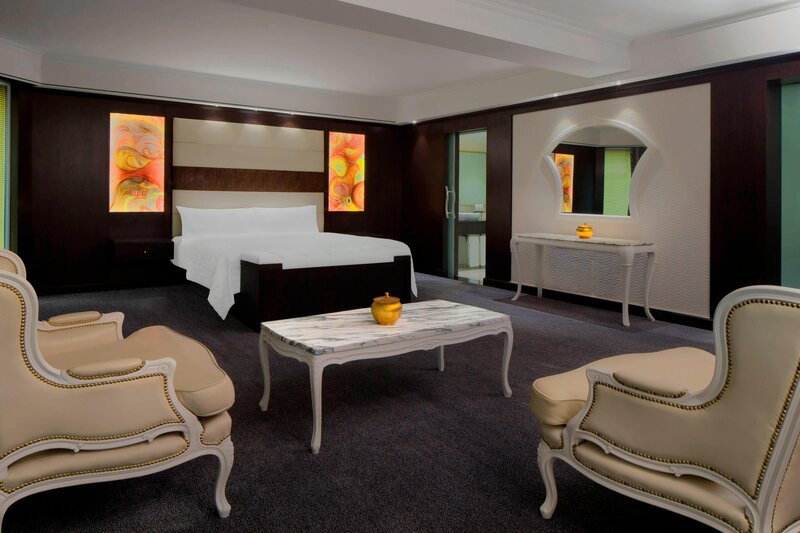 Every guest room at Le Méridien Dubai Hotel & Conference Centre is tastefully decorated to be stylish and relaxing. 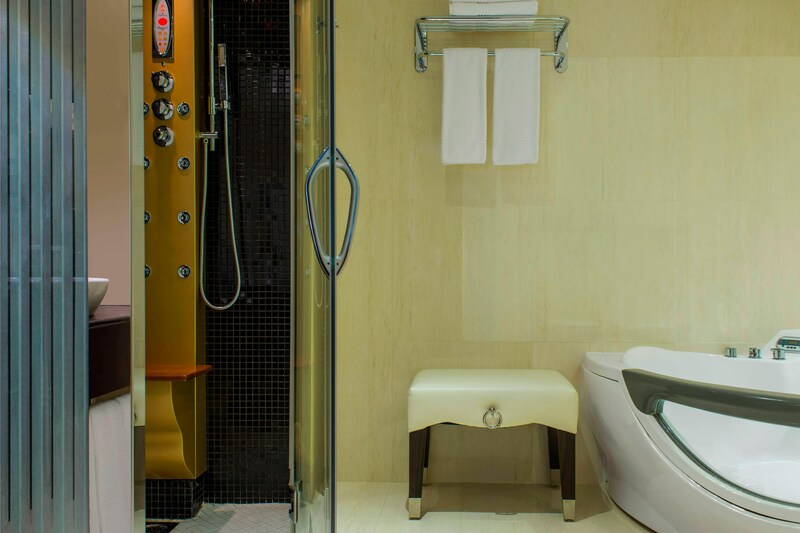 Comfort is fused with the facilities and amenities that travellers need for a convenient, effortless stay. High Speed Internet Access available in all rooms (for a fee) helps you keep in touch with friends and business associates, while LCD TVs let you relax in the comfort of your own room. Le Méridien Club Rooms have been completely refurbished and feature an in-room espresso, tea, and coffee maker, as well as a dedicated work area, which includes a specially-designed desk with plug-in data port and wired and wireless High Speed Internet Access. They also offer a power shower with separate rain shower and movement sensors for bedroom and bathroom light activation. 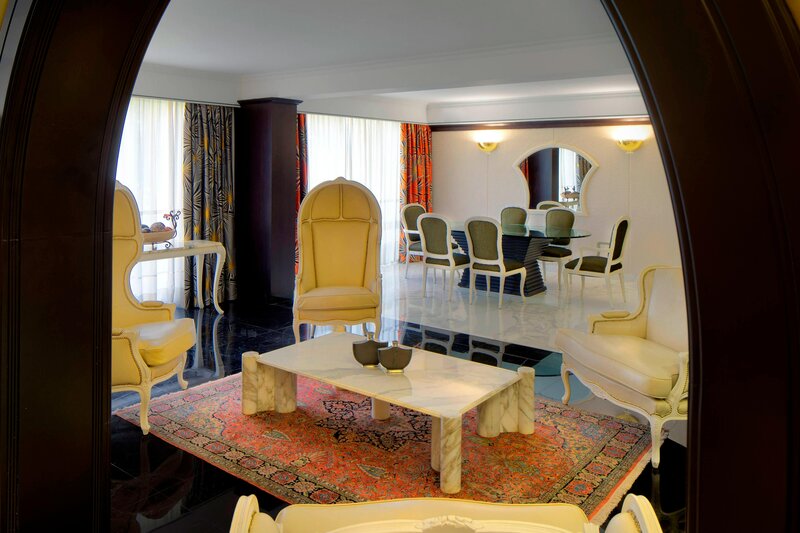 All Le Méridien Club Rooms feature scenic views of the gardens and swimming pools. Please note that children under the age of 12 are not allowed in Le Méridien Club Pool, Le Méridien Club Lounge, and Le Méridien Business Centre.